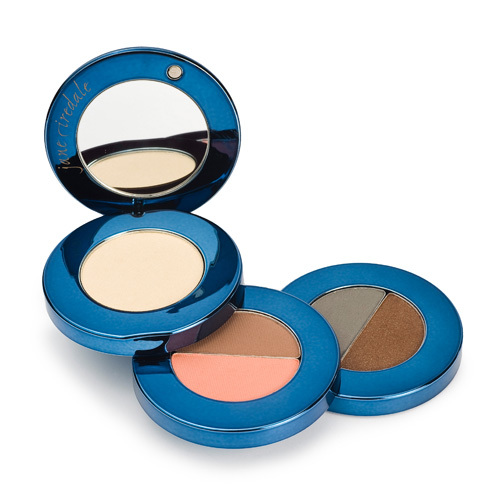 Hold the top tier of the Jane Iredale Eye Steppes compact with your left hand and the bottom tier with your right hand. Twist the bottom toward you to reveal the bottom two tiers. Still holding the bottom with your right hand, pull the top tier gently to the left and up with your left hand. To close, simply reverse the procedure. To snap apart, open either the bottom or top tier fully. Grasp firmly and twist. You will hear a popping sound as the tier breaks away from the compact.